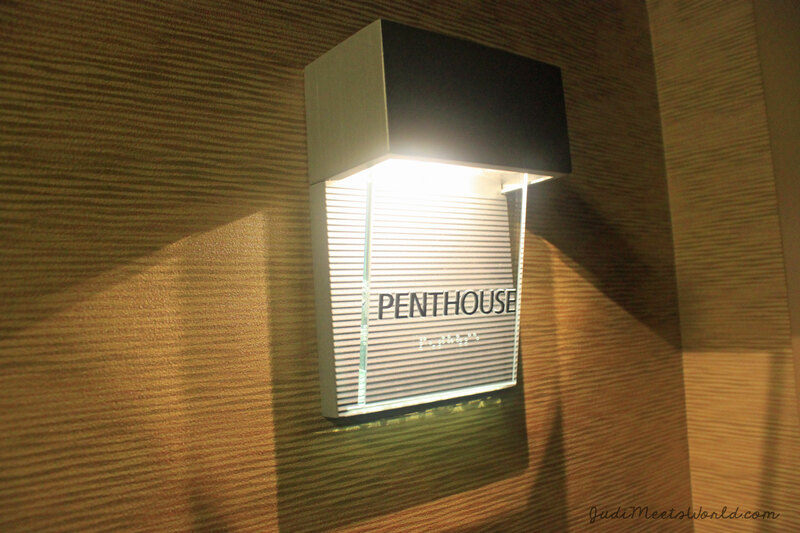 Meet the Residence Inn Vancouver Downtown. That’s right! I was given the penthouse all to myself to enjoy for my few nights at this hotel before heading south of the border. My goodness gracious – what a luxury! Close to a few bus lines for easy access to the sky train or other downtown/Granville spots. Right at the cusp of Davie St and all its local shops and restaurants. Walking distance to the water ferry shuttles to Granville and False Creek. Rate: Advanced booking (with free cancellation and buffet breakfast) starts between $270 to $370 per night, depending on the room and deal. Rooms come with a fully equipped kitchen with appliances and are pet friendly. Hotel has a self-serve laundry area with detergent (and all sorts of items and snacks) available for purchase at the Marketplace nook by the front desk. There is also an attached restaurant. My room was basically staying in a very spacious apartment. 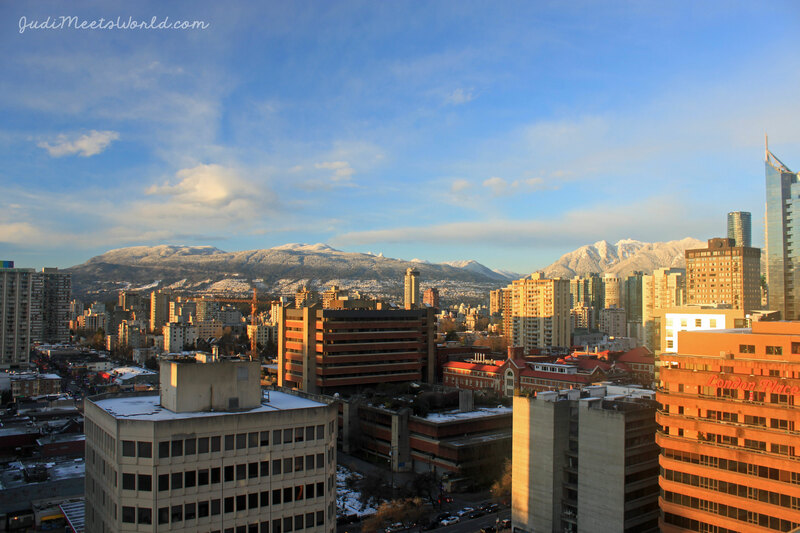 I had the floor to myself (penthouse perks) and had two generous balconies overlooking the mountains and buildings of the west end. The amount of room to move around meant I could’ve had guests if I really wanted to – but this introvert reveled in her solitude. My desk was roomy and little details like flowers made for a very lovely homey touch. Having a fully equipped kitchen also meant that leftovers were a breeze to reheat and enjoy on actual dinnerware, not out of take-out boxes. 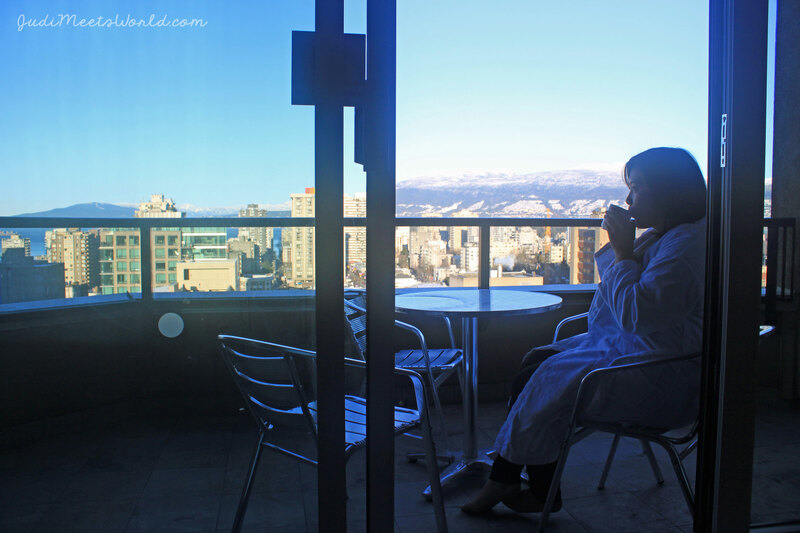 Mornings also meant enjoying the brisk air, warmed up with a mug of coffee on one of my balconies, in my provided bathrobe. This was my life for a few nights. I had it made. There is a 24-hour access gym that connects to a jacuzzi and pool area. The gym also had a good amount of equipment for cardio and strength building. Beside the gym was a feature that I personally booked this hotel for: self-serve coin operated laundry. What’s a long-stay hotel without a place to keep your clothes looking fresh? As an added bonus, they had a take-one-leave-one bookshelf like what you would see at hostels – providing entertainment during your stay, or simply while waiting for your laundry loads to finish. Check this hotel out – great value for downtown Vancouver. What hotel should I check out next?